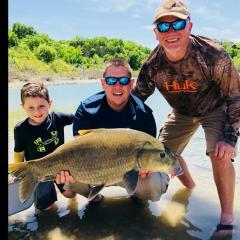 Your name: Finley Miller Your CAG forum name: TXMulti-Species Your state or province of residence: Texas The state or province of your FFF 2019 fishing venue, if it differs from your residence: Texas I've got a new venue picked out and can't wait to see what comes out of the depths! Didn't know that, great to see that CAG is doing amazing work all over the place! Huge congrats to Roland Olah! As for not pursuing the record, there can be multiple reasons. Some states require you to weigh the fish only at certified weigh stations, you can't use your own. There's a huge chance of the fish not making it so it's not worth the risk. Records also draw the attention of bowfishermen. Personally I wouldn't submit any records for that very reason. Welcome to the sport, and the forum! 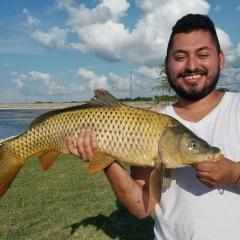 Jealous that you have such large fish so close by. 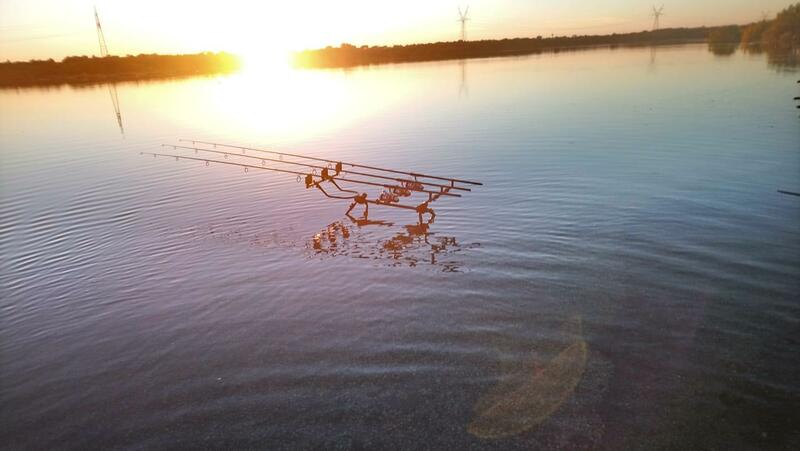 There's definitely a peace when carp fishing, unless you're really in on them - then it's the busiest you'll likely ever be! Congrats guys! Looking forward to seeing the photos! Lol, welcome to the carpy side! Your tackle and PB addiction is already starting I see. I bought 3 Sonik S3's on sale and have only good things to say so far, but then again I've never used anything else. I got mine in 12' 3.25TC but I'll definitely be getting them longer and a bit beefier next time just for the added distance. I also have a Sonik net which has held up to the abuses I've put it through. Super long post? This post is tiny compared to some of mine... I prefer to fish in deeper pockets simply because that's where the buffalo roam, but I don't think there are any of those beauties up in Washington! You've got a couple options on your hands: 1. Fish at the greater depth. 25-30ft isn't too deep for carp and I've had plenty from those depths. 2. Clear out the weed manually, and fish the shallower parts. The easiest way to accomplish this is to get one of those metal garden rakes, not the ones for leaves, and attach a sturdy rope to the end of it. Throw it out and drag it along the bottom, clearing the weed bit by bit. You won't have to do this often, but it's certainly a chore when you do. 3. Use the fish to clear out the weed, and fish the shallower parts. One of the easiest ways to clear weed is by not doing it at all! Chum an area over the course of a week or two with a ton of bait. Small particles work best for this as the fish will have to search around for some time, deer corn is one of the cheapest options. Just make sure to boil till soft. 4. Fish in the margins. Just because the water is a foot or two deep doesn't mean you can't get a nice carp there! I've had lots of fish just dropping a bait into the margins. As for the best option to get carp to start frequenting an area, it's got to be baiting it. It can seem impossible with the massive amount of fish we have over here, but consistent baiting is key. Try to bait at least every other day if not every day. Doing it at the same time is also best, but any amount of bait in the water at any time will attract more fish than none. +1 Great work! I use a different flavor (sometimes an entirely different packbait) every time I fish for that very reason. I don't have any experience, but this guy does! Just watch out for those claws! Some good gloves can help if you're worried about it, but I've never been scratched by 'em. Bullheads are pretty much everywhere, and when you catch one, there's usually a swarm of them waiting for you to throw something else out to eat. They're very hardy just like carp, so in bad water they're the only things that are gonna be there besides carp, turtles, gar, bowfin, etc. Kinda jealous of your mirrors tbh, I've still yet to get one of my own! Those are some beautiful brutes! Great job! The "tongue" or "growth" that you're seeing is their palatal organ, which they use to separate out food particles from non-food particles. 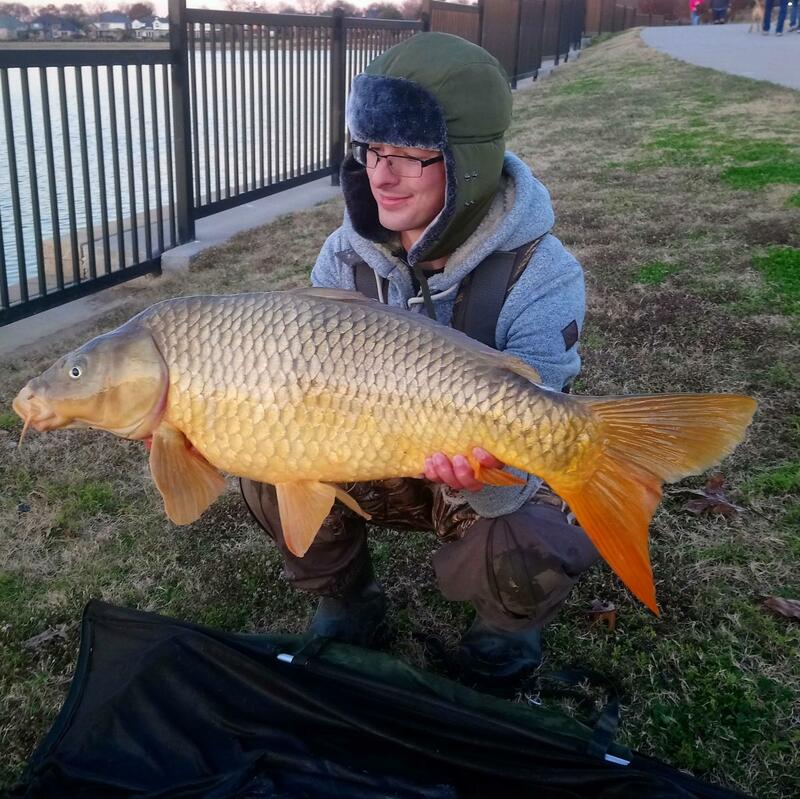 It's very hard to just catch carp as you found out with your turtles and brown bullhead. On the turtles, it's fine to drag them out of the water using their tail as their weight will still be supported somewhat by the water/ground, but when picking them up make sure to do it from the sides of the back of the shell. If you pick 'em up by their tail, you can actually break their tail and injure the animal. Everything out there deserves our respect, no matter how much of a "nuisance." Tight lines! No problem, anything if it'll save a couple golden beauties.